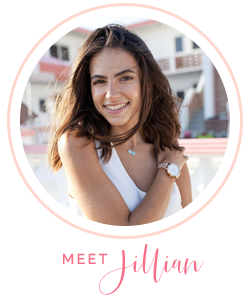 A few weeks ago when one of my best friends, Julianna, and I took a “mini day trip” to Palm Beach, I knew I had to create a visitor's guide for the little island! Not only was I inspired to make this travel guide, but stay tuned, I'm also going to create my favorite spots in Florida! Palm Beach looks like it came strait out of a dream and all the bright colors bring such a true tropical feel. Each home and street is so picturesque, not to mention you are so close to the water! There's something for everyone, between the shops, history, and beaches, anyone can find their fit! In this post I'm going to share a few of my favorite stops from restaurants, shops and where to stay in Palm Beach. Not to mention I'll also be sharing a few places I’ve been wanting to check out. Whether you live in Florida or out of state, Palm Beach is definitely worth the visit! It’s hard not to go wrong here. Surfside is a retro-beachy inspired diner, delicious food options at a great price. On a perfect sunny day, this is the place to be. Located by the pool at The Colony Hotel, this stop is a must. Great service and the food is amazing!! Just a few steps from Worth Avenue, each hallway of The Colony is vibrantly decorated with bright colors and a tropical flair. Even if you don't get the chance to stay here, you must take a visit to see the “palm print” carpet! Not to mention, former Presidents and celebrities have stayed here a well! A Palm Beach icon, this lavish building has everything you can dream of for the perfect getaway - great restaurant, on the water, and a Lilly Pulitzer right inside! An adorable boutique hotel with a great pool and patio area, a favorite by many. CJ Laing’s beachy, vibrant clothing matches so well with any Floridian’s lifestyle. They also have another store located in Nantucket! The original monogrammed beach bag. Dying to have one to appear in my closet sometime soon! I have to admit, I’ve been coveting a pair of their smoking slippers for quite some time! Each uniquely designed, you’ll be sure to find a pair you’ll love!